*Technology is out of control! Mad scientists everywhere are thinking of different things to invent that will further complicate our lives, while at the same time allegedly giving us more convenience. There used to be a time when Mapquest could help us get anywhere we needed to go. Then GPS went into effect and has almost made Mapquest or reading maps for ourselves a thing of the past. Now that isn’t enough because you may not drive. You need a GPS for your peeps right? 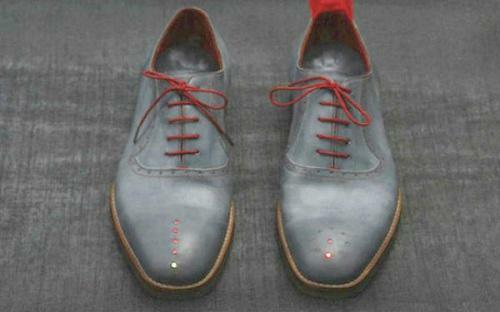 Well, Designer Dominic Wilcox created a pair of shoes that will help you get where you’re going when you just wanna beat the street with your feet.